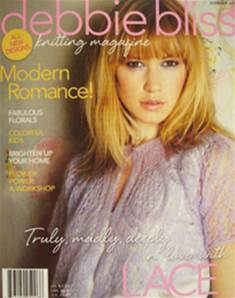 The Debbie Bliss magazine Spring- Summer 2011. 29 new patterns in a range of Debbie Bliss yarns including 8 new designs in Angel silk and mohair. 104 pages.